Here at Dosh, we’ve been thinking about what it means to be an appointee for someone’s benefits. 100,000s of people across the UK have an appointee, many of whom are family members doing a great job for their relative without any training and only limited information. If you’re just starting on this journey, what do you need to do, know and have to be a successful appointee? Firstly, what is an appointee? An appointee is a person or organisation that is registered with the Department for Work and Pensions (DWP) to manage a person’s benefits if they lack capacity to do this themselves. Unlike a Power of Attorney, Guardian or Deputy, an appointee isn’t a legal authority over all of someone’s money; it just lets you manage their benefits. This can be great for people who only have benefits income as it’s much simpler and cheaper to set up and doesn’t take as much control away. It does come with its own challenges however; in particular when dealing with other companies to help them spend their benefits money and pay the person’s bills. Simply put, an appointee represents the person with the DWP. This means you do everything the benefit claimant would usually do, like filling out application forms, receiving benefit payments and reporting changes in circumstances. You are the one that receives benefit letters and is responsible for completing them. If that sounds scary, don’t panic just yet – there is plenty of help out there if you know where to look and we hope this article will help too. Manage the transition from DLA to PIP – if the person you’re acting for has not already moved to PIP, they could be asked to move soon. Once you get the ‘invite’ letter, you will need to make the phone call and complete the assessment form to ensure they move over successfully. Read our article on PIP for more on this. In the next few years, you may also need to move over to Universal Credit. Report changes in circumstances – this is easy to forget about, but it is your job to proactively report changes. This means you can’t wait for the benefits centre to ask for their latest savings amount for example; if their savings have changed (over £6,000) you will probably need to report this. Other key things to report are changes of address, going into hospital and starting work. Reporting promptly means the person gets on the right benefits more quickly, you don’t have to pay money back later and you avoid a fine. Receive benefit money – to help make things as transparent and clear as possible, set up a separate account (some banks offer specific appointee accounts) for the person’s benefit money. This helps you to clearly show how much money they have and how they are using their benefits. Keep an eye on this account to check payments are going in regularly as you expect and monitor the amount saved in the account. Go to our banking pages for more help. What else can you do as appointee? You may also manage the person’s Housing Benefit and Council Tax. To do this, you need to register separately with their Local Authority, but most will accept you if you can show you are already DWP appointee. Housing Benefit is often linked to other benefits like ESA and also requires you to report savings (over £16,000) so it’s useful to manage them together. If you’re managing Council Tax you can often get discounts for the person – such as the Severe Mental Impairment exemption that has been in the news recently. If the person has a Motability vehicle, you will also be responsible for this as the appointee. 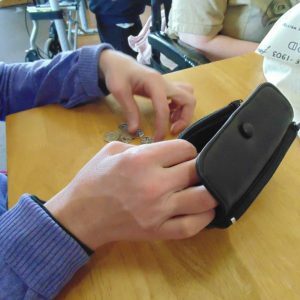 You must ensure this is used for the person’s benefit and is worthwhile – they are sacrificing nearly £60 per week of their DLA or PIP to have the vehicle. So, that’s the basics. In part 2 we’ll talk about some of the most common questions we get and some of the pitfalls it is easy to fall into.